If you’re looking to boost the performance of your online store, learn from what these E-Commerce Giants have already perfected. E-commerce is a constantly-evolving space, and it’s one that’s not going away. Today more than ever, consumers are searching online for the products they want to buy. Not only are people buying products online, but also researching them there by reading product reviews and comparing prices. Every business needs to learn from the success of e-commerce giants like Amazon and eBay, in order to compete in the digital marketplace. Even if you’re a brick-and-mortar business, any company can expand their revenue by opening a store online. Here are four important lessons from e-commerce giants that any business can benefit from. People shop online because of its convenience, so if your website is having technical problems or is slow to load, you’ll lose sales to customer frustration, especially when they can find the product they want somewhere else. That’s why website performance is a business problem and not just a tech issue. 40% of visitors will abandon a website page that takes 3 seconds or more to load. People expect a site to load in two seconds or less. 79% of web shoppers who have to wait too long say they won’t come back to purchase again. In 2006, Amazon reported that a 100-millisecond increase in page speed translated to a 1% increase in its revenue. 29% of your website traffic has malicious intentions and wish to attack you. 92.4% malware delivery takes place through emails on given email addresses on your website. Half of SMBs have admitted that cyber-attacks have increased severity and sophistication with the advent of technologies. You can see why finding a high-quality hosting provider and hiring a professional website developer are worthwhile investments, because fail-safe web infrastructure is guaranteed to bring in more sales and make your brand professional. Personalizing the buyer’s journey based on their previous searches and purchases on your website is a great way to convert more sales by putting what the customer wants directly in front of them. Amazon is particularly good at pushing recommended items, as it’s the first thing you see when you open their homepage and are logged into your account. However, the personalized experience can also work well for companies doing direct brand e-commerce and you don’t have to be an e-commerce giant to implement personalization. One successful example is Lorex Technology, which sells wire-free home surveillance systems directly through its own website. According to Lorex, direct brand e-commerce lets you tailor your web content and message for your unique target audience. By creating content that addresses the problems your customers need help in solving, you can hypothetically walk in the shoes of your customers. Customer data and performance analytics are data that can greatly improve your marketing efforts. The more you know about your customer, web traffic and sales, the more you can tweak your marketing strategy in a way that drives up your conversion rate. With performance analytics data, you can perform A/B split tests on your sales pages to figure out what strategies work best. You can use web analytics tools like Google Analytics to find out what drives people to your website and what they want to buy. With data on your typical website visitor’s demographics, you can tailor your marketing strategy toward your target audience. 62% of consumers feel that the brands that they’re most loyal to have not done enough to reward them. If you resolve a complaint in your customer’s favor, he or she will do business with you again 70% of the time. 75% of shoppers belong to up to 10 loyalty programs. 62% of Millennials feel that online content drives brand loyalty. Although many people prefer to buy products online, it’s still not the same as getting to physically hold a product in a store before you buy it. That’s why the most trusted online stores such as Amazon and eBay have customer reviews that help customers understand more about the products from actual owners of them. An effective e-commerce store makes it easy for buyers to leave reviews, and emails them with a reminder to do so a couple weeks after the product was received. 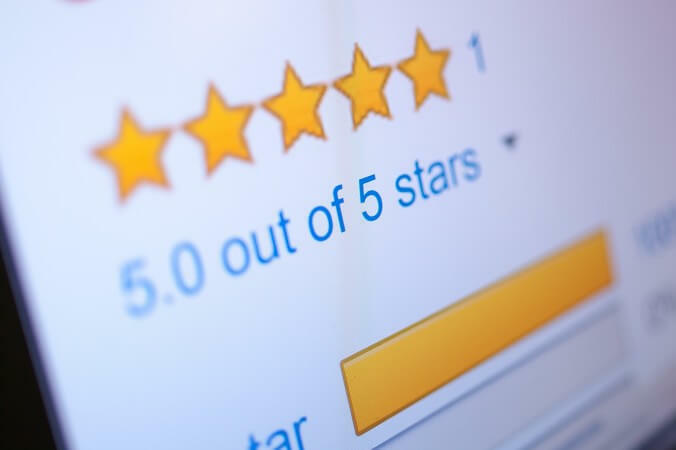 When products receive particularly good reviews, you can feature them in the product description or directly under the product to help drive sales. In a digital word in which e-commerce is growing more commonplace, these important and applicable lessons can help you take advantage of the internet age to increase your bottom line. Whether e-commerce is your business’s main focus or it’s a secondary income stream, improving your website performance, creating a personalized experience, analyzing data and getting consumer feedback are all ways to boost online sales.